For Dosunmu, a Nigeria-born director, New York is once again the city of choice. It’s where he filmed his last movie “Restless City” and it’s in Brooklyn we follow the life of Adenike (Danai Gurira), a Nigerian newlywed who resorts to drastic measures after she discovers that she’s unable to conceive a child. 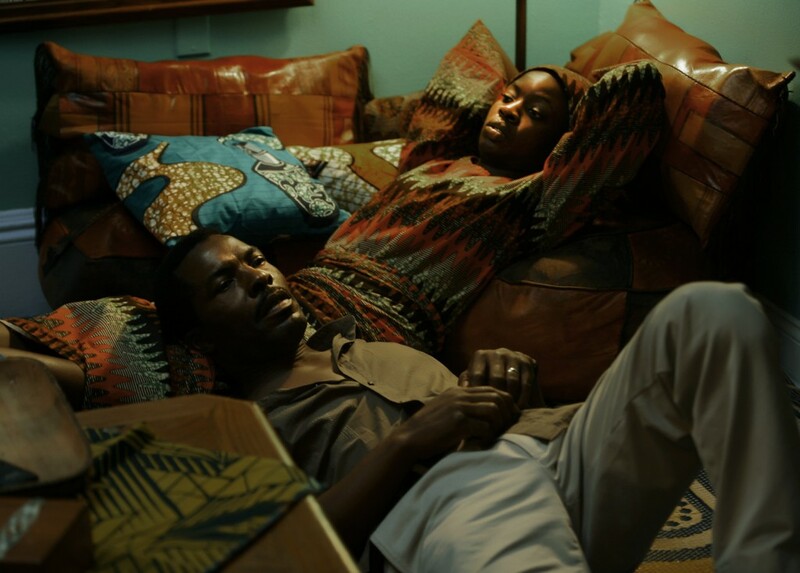 A vibrant, touching and universal portrait of a couple navigating through the crevices of marital mishaps, Dosunmu creates an absorbing and atmospheric drama. When we first meet Adenike, (Gurira), it’s on her wedding day. Clad in traditional signature fabric, she’s the nervous bride. Fast forward a few scenes later, we soon learn that she’s new in town and her husband Ayodele (Isaach de Bankolé) has established himself with an African eatery in the city prior to sending for his bride. Their union is one of mutual respect and admiration, moments Dosunmu aptly captures with slow titillating shots. Like any other Nigerian wife, as entrenched in the culture, Adenike’s sole responsibility is taking care of the home, her husband’s needs — and eventually their future son George. But soon after their union, Nigerian tradition coupled with the mounting pressure to conceive a child soon gives way to temptations as she discovers life outside of being a housewife. A drama which received the Cinematography Award (U.S. Dramatic) at the 2013 Sundance Film Festival, it’s a poetic tale that’s done ever so stylishly. Also starring Bukky Ajayi as the meddling mother in law, Tony Okungbowa as Ayodele’s brother and Yaya Alafia, Dosunmu aptly captures the unique nuances of African custom and tradition. The wedding, which plays out like a well-rehearsed performance is a lavish and lengthy affair complete with vibrant colors, plenty of playful banter, and cultural offerings. If you’re seeking a clear-cut story with a snappy pace, you won’t find it in Dosunmu’s drama, for in “Mother of George“ the camera acts like a member of the family, moving in tandem with the characters. Written by Darci Picoult, it’s a movie about love, tradition, sacrifice and hope. A strong human drama that addresses changing cultural traditions, it was the perfect vehicle for Dosunmu, a former fashion photographer whose images have appeared in a variety of international publications. With bold, rich imagery that involves frequent close-ups, Dosunmu puts the microscope on one ordinary family with a universal story and the result is a beautiful work of art. Rated R for sexuality, some language, and a disturbing image “Mother of George” releases in theaters September 13. Pictured: Danai Gurira and Isaach de Bankolé (images courtesy of Oscilloscope Laboratories).